Lucindy received an M.A. in English Literature from NCSU and her Ph.D. from UNC-Greensboro in Victorian Literature. 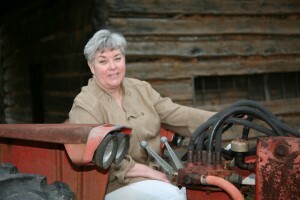 After retiring from the English Department at North Carolina State University, she embarked on a new career as chef at the Yancey House Restaurant from its opening in November 2005 until May 2011 when she left her husband and the restaurant to become chef emerita and retire to her farm at Terrapin Cove in West Yanceyville. During her tenure, the Yancey House took first place in the 2011 Best Dish in North Carolina Competition in the Casual Dining category, repeating its first place finish in 2009. The Yancey House was the first restaurant in any category to twice receive first place honors, while Lucindy was the first female chef to win the competition. Lucindy brings to her cooking classes a love of teaching and a passion for food and gardening. She also offers a relaxed, woodland setting on Farmer Lake in Yanceyville, NC in which to explore your own culinary interests and rejuvenate your palate. To sign up for classes, visit Lucindy at lucindy@terrapincovefarm.com.